The Libriomancer sequel has a title! Book two of the Magic ex Libris series will be Codex Born. My Parents’ Cat is on SF Signal! – I wrote a guest post for SF Signal, talking about some of the behind-the-scenes stuff from Libriomancer. Including the true identity of the bookstore cat from the book. Interview at The Editing Essentials – An interview I did with my friend Brittiany Koren, who edited several anthologies that included short fiction from me. On to the critique. Alex Cranz wrote a piece in FEMPOP about the treatment of women characters. Warning: While Cranz avoids specifics, this will probably spoil the ending of Snow Queen’s Shadow for you. I know why I made the choices I did in that book. That doesn’t in any way change the fact that Cranz raises very good, valid points. Whether or not I had valid reasons for those choices doesn’t change the fact that those choices do fall into a larger pattern. While I’m sad that my book bummed Cranz out right before a wedding, I’m glad she cared about the books enough for them to have that impact, and I’m even more pleased that she chose to write this essay and start up a conversation about these tropes. I recommend checking out her piece. Not to defend my book. (Please don’t.) But because it’s thoughtful and important and a conversation we should be having. Also, according to her bio, Cranz trained her dog to do fistbumps, which is just awesome. Last month, I wrote a blog post looking at my early numbers for The Snow Queen’s Shadow [Amazon | B&N | Mysterious Galaxy]. Based on those early numbers, the print sales seemed pretty much in line with what I’d seen for other books. It’s almost two months since Snow Queen came out. Since then, Borders has officially gone into bankruptcy. George R. R. Martin’s new book came out, which I’m told cannibalized some fantasy sales across the board. And B&N has started cutting back on their orders. Keeping in mind that Red Hood got some additional display space and advertising push, this is … still better than I was expecting to see. Snow Queen has slipped behind the other princess books, but continues to outsell the goblins. Not too bad. On the other hand, the numbers for Snow Queen include a visible boost in sales when Borders declared bankruptcy and people started rushing out to buy books at 40% off. That’s a short-term gain, and I expect to see another dropoff once Borders closes its doors for good. And of course, I won’t know how the e-book is selling for quite some time. In conclusion … I don’t know. I’ve been pointed to more “Publishing is DOOMED!! !” articles recently, and all I can think is “Bored now.” I don’t see publishing disappearing any time soon. Changing, yes. Continuing to work toward an equilibrium point between print and e-books, sure. Causing some people to freak out like poo-flinging monkeys on crystal meth, absolutely. I don’t know what publishing is going to look like five or ten years from now. I don’t know if the death of Borders will lead to a resurgence in the independent bookstores, or if brick & mortar stores will continue to decline. I don’t know whether the mass market format will go away, replaced by print-on-demand and e-books. I don’t know. But then, if I wanted a stable, secure, unchanging career, writing fiction might not have been the best choice. I do know that people enjoy stories. Publishing is changing, but love of story has been a core part of our species for as long as we can remember. While the delivery of those stories will continue to evolve, the demand for those stories isn’t going away. So as for me, I’m just going to keep writing, and I hope y’all will continue to read and enjoy those stories with me. Yesterday turned out to be a very good day for writing news. I wasn’t sure if this was public or not, but I figure if my agent Tweeted about it, it’s safe to share. He’s also been talking to DAW about doing a 3-in-1 omnibus edition of my goblin books, which would be most nifty. Nothing is in place yet, but when and if this deal becomes a reality, I’ll let y’all know. In the meantime, just the fact that the discussion is happening is pretty darn cool. Apparently the universe wanted to cram a month’s worth of good news into one day, because that’s not all. I also spoke with my editor yesterday, who confirmed that Libriomancer is going to be my first hardcover original from DAW. Basically, I view this as leveling up 🙂 I’m flattered and happy that DAW has enough confidence in me and my writing to take this book to the next level, and I can’t wait to hold the finished product. I admit that in some ways, I liked having my stuff come out as mass market paperback originals. Or, as I’ve been known to say, “I like being cheap and easy!” On the other hand, a hardcover release should mean a bit more review attention, a potential boost in library sales, and better royalties, all of which are also good things. 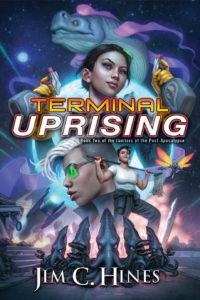 I assume the new plan will be to release the hardcover in August of 2012 and do a paperback about a year later, perhaps coinciding with the second book in the series. I don’t have any details, but will share them once I do. And then I went home and ended the evening with ice cream and the Phineas & Ferb movie. All in all, I’d say that was a pretty good day! I did a guest post for author Mindy Klasky’s “Inside Track” feature, talking about some of the things that went into Snow Queen. 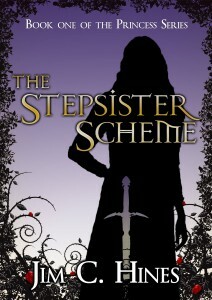 That post went live yesterday, and includes a giveaway for the book. Details on Mindy’s blog or LiveJournal. Given some of the comments and e-mails I’ve been getting, I figured it was time to put together an open discussion post for The Snow Queen’s Shadow [Amazon | B&N | Mysterious Galaxy]. THERE WILL BE SPOILERS IN THE COMMENTS! I’m happy to answer questions or talk about the story, but I’m also happy to shut up and let folks chat. If you’d like me to jump in, just say so. In other words, if you say, “Hey Jim, why did you have to go and have Elvis kill Prince Armand?” I’ll try to answer you. If you say, “I hate that Elvis killed Armand in a shoe duel. Glass slippers should have the advantage over blue suede shoes!” then I’ll probably stay out of it. My thanks to everyone who’s e-mailed me, Tweeted, posted reviews, and generally just talked about the book! Today is the day! The official release of The Snow Queen’s Shadow, the fourth and final book in the princess series! I’ve changed as a writer since then … which I think is a good thing. Stagnation is creative death. 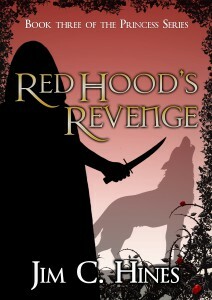 So there are things I’d probably do differently if I had to write the whole series over again. But overall, I’m proud of the stories, and particularly happy with this last volume. I’m hoping to have a discussion post in a week or so, once I’m back from vacation and people have had time to read the book. I said this in the author’s note at the back, but I’ll say it here as well: thank you so much to everyone who’s joined me for this journey. With that, I guess there’s nothing left to do but post some purchase links! 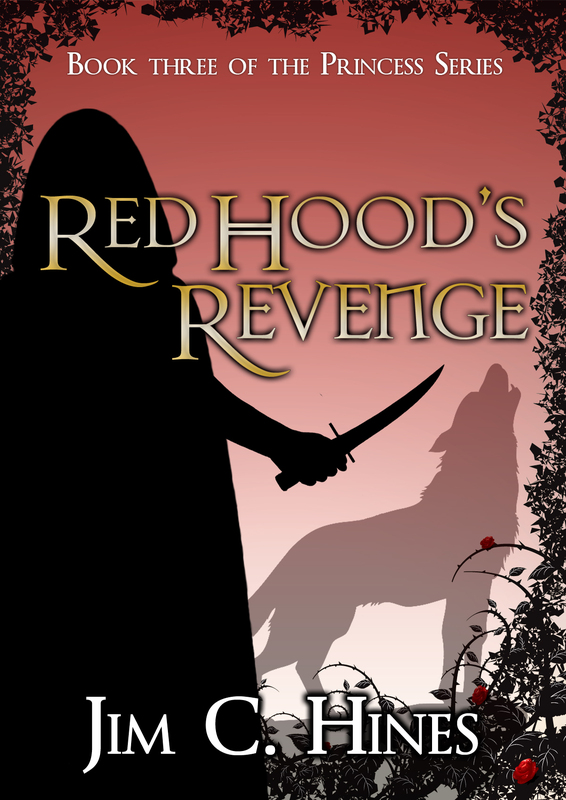 One thing that intrigues me … of the three reviews I’ve seen so far (four if you count Klausner), not one has talked about the fairy tale I’m using this time around. If you’re not familiar with The Snow Queen, you can check it out on the SurLaLune site. The first time I used a Hans Christian Anderson tale for one of these books, it was The Little Mermaid. 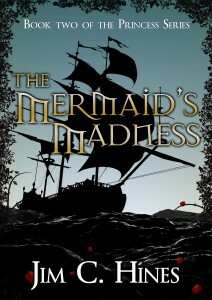 I read the fairy tale, and my initial response was “Oh hell no.” Thus was born The Mermaid’s Madness. When I read The Snow Queen, I had the opposite reaction. Oh hell, yes! This was exactly the framework I needed for this book. I definitely took some liberties in order to write my story and my characters, but the story Anderson wrote fit very well with what I wanted to do in the last book. Do you have to read the fairy tale to appreciate the book? Not at all. Is the fairy tale a spoiler for the book? Not really … if you know the tale, you’ll recognize elements in the story, but I don’t think you’ll be able to predict what’s going to happen. Though if you prefer to avoid anything with even the slightest hint of spoilers, you could always wait and read the fairy tale afterward. I don’t know where else to go with this, so I’m going to jump straight to the giveaway. What’s your favorite fairy tale or fairy tale adaptation, and why? Leave your answer in the comments, and I’ll pick a winner at random to receive an autographed copy of one of my books — your choice. We’re heading up north on Friday, so you’ve got 24 hours to get your entry in. Anyone can enter; there are no regional restrictions on this one. 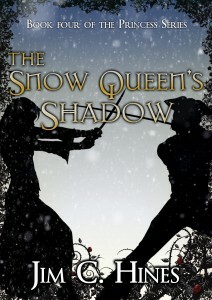 Only two weeks until The Snow Queen’s Shadow [Amazon | B&N | Mysterious Galaxy] comes out! I’m marking the occasion with random deleted and changed bits from the series. For example, did you know I once jotted notes for a 5th princess book in which Danielle would have a second child (a daughter), and Jakob would be revealed as a fairy changeling? More beyond the cut, as there are a few potential spoilers for the earlier books. Only three weeks left until the release of The Snow Queen’s Shadow [Amazon | B&N | Mysterious Galaxy]. I figured today I’d take some time to answer any and all questions about the book. That’s right, you can ask anything you’d like. Spoilers, background, histories … where did Queen Beatrice really come from? Who will Talia end up with? What’s Prince Armand’s favorite color? I will do my best to answer all questions. The only catch is that I’m not promising to answer honestly … in fact, I can pretty much guarantee that I won’t.